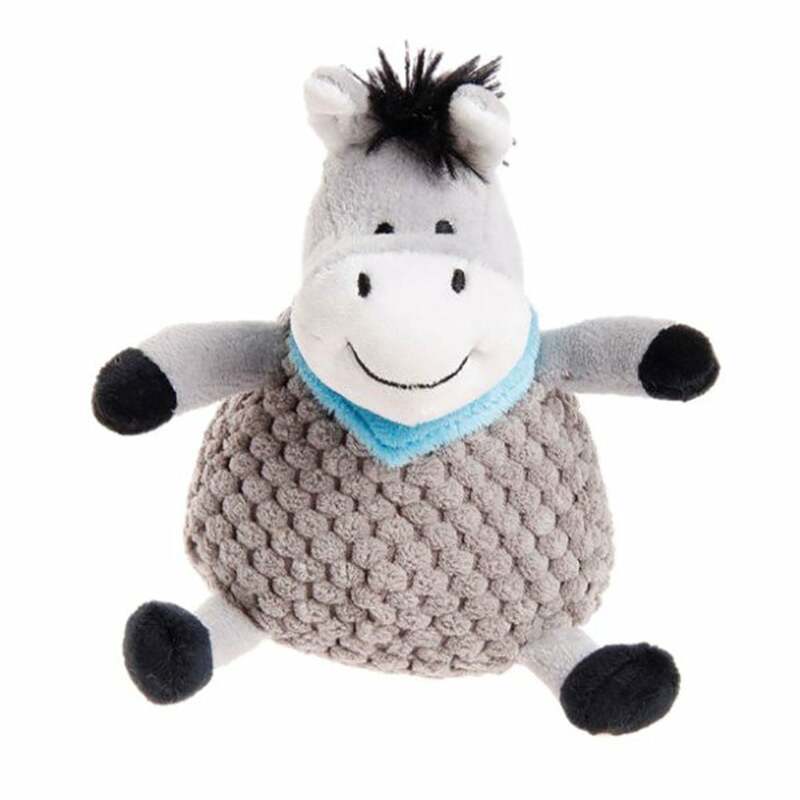 The Petface Farmyard Buddies Mini Donkey is a cute, plush dog toy with a textured main body and a smooth face and limbs. Features a lovely neckerchief detail with a faux fur mane and tip of tail. This toy has a squeaker in the main body and is most suitable for small breeds and puppies. Great for playing, training or as a companion.